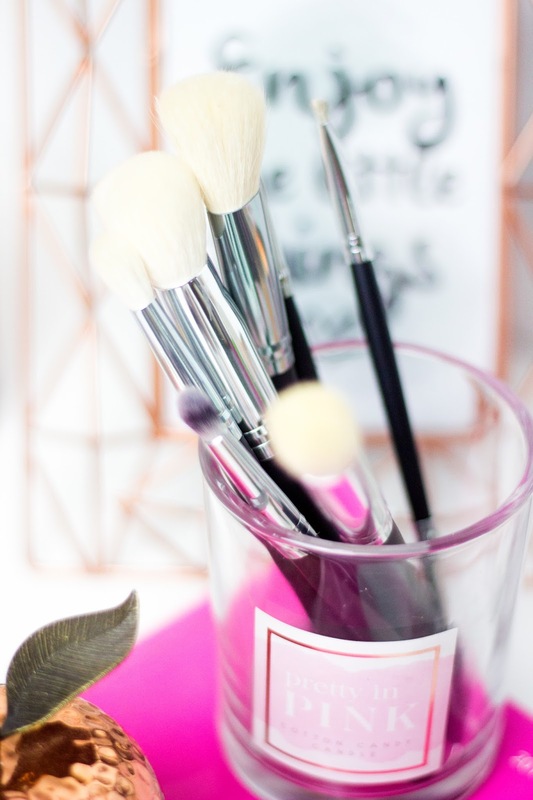 You can never have too many brushes in your makeup stash, right? And I find it so pleasing to have new, clean brushes to play with. So for the past few weeks, I have been trying out Crown Brushes* and I wanted to share my thoughts with you. 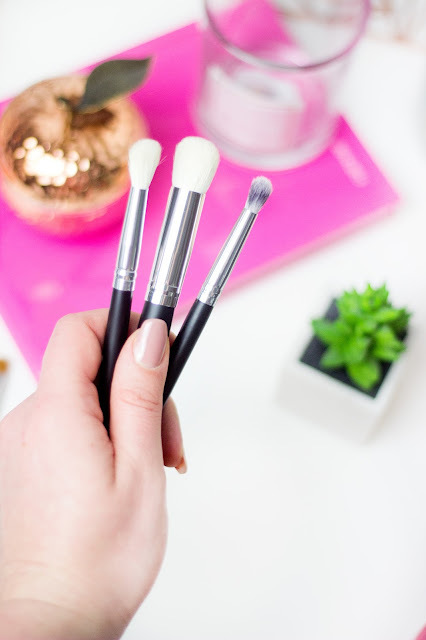 I have been seeing this brand on Youtube and Instagram quite often and I was intrigued to try their brushes for myself. Crown Brushes has been in the business for over 35 years and I'm sure they know what they are doing. 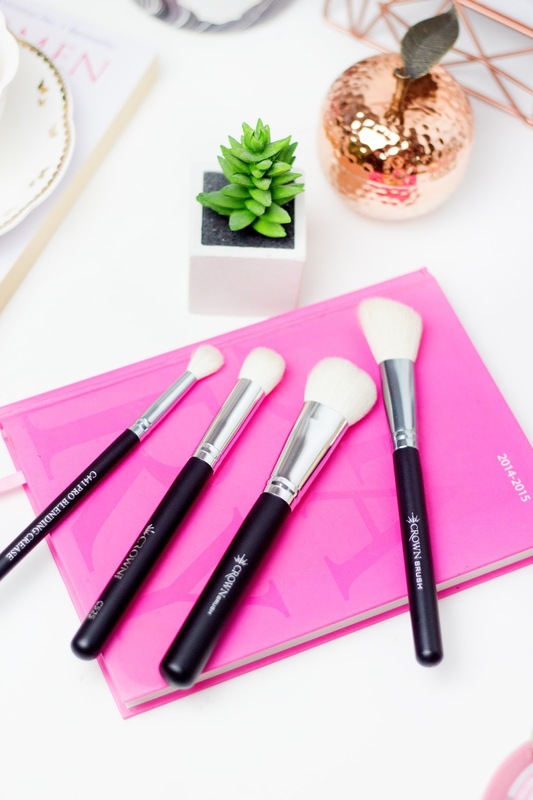 It is a very affordable brand that offers great quality and so many different brushes to choose from. They also do eyeshadow palettes and tons of different face products. 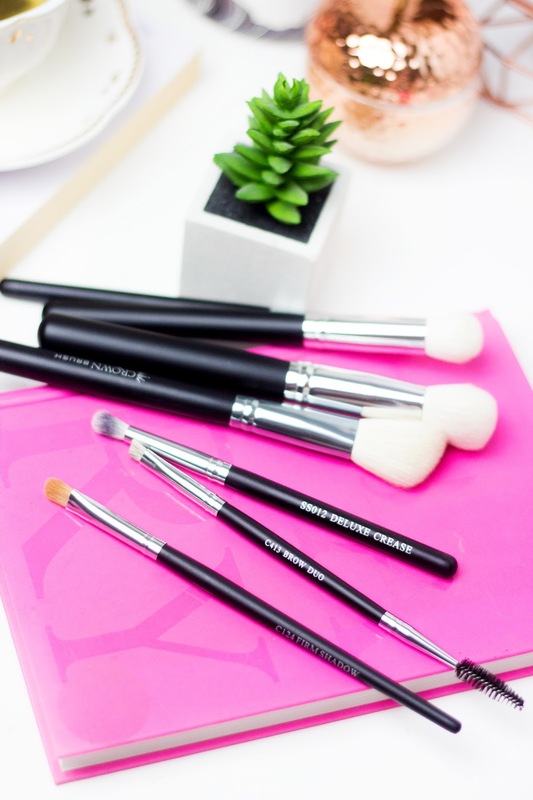 SS012 Deluxe Crease Brush is great to apply shadow to your crease for a more precise look. It does a fantastic job blending the product into your lower lash for a smokey eye or it helps to create blended out cut crease make up look. The bristles are synthetic and extremely soft so it doesn't scratch your eye. C441 Pro Blending Crease Brush has to be one of my favourites. It blends eyeshadows effortlessly and it does not leave you looking patchy or muddy. Bristles are soft and fluffy, but you have to be careful because it picks up a lot of product. 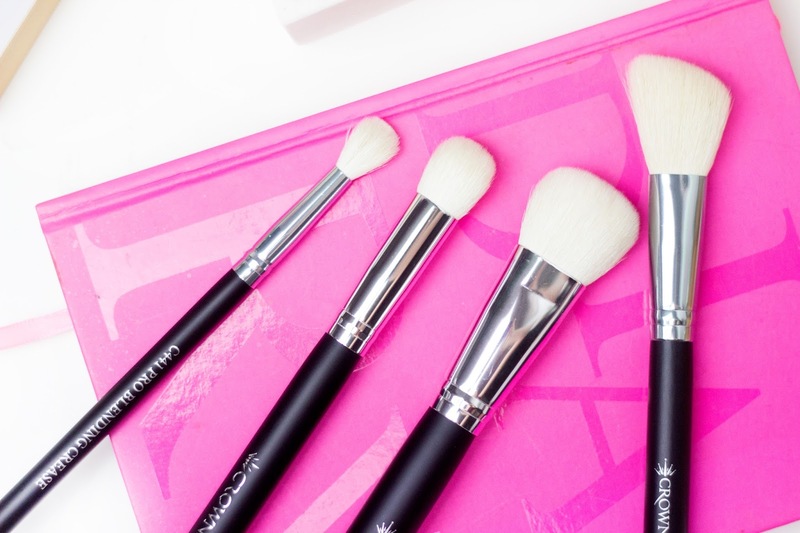 This brush is almost identical to Morphe's M441 blending brush, which is my all time favourite blending brush. Funny enough, both made from goat's hair and both feels exactly the same! C525 Pro Round Blender Brush is very versatile brush and you can find many different uses for it. Its extremely soft bristles blend any product without much effort! You can use it to blend concealer under your eyes or apply setting powder. You can also apply crease shade all over the lid and lightly blend it towards the brow bone to create a very natural look. 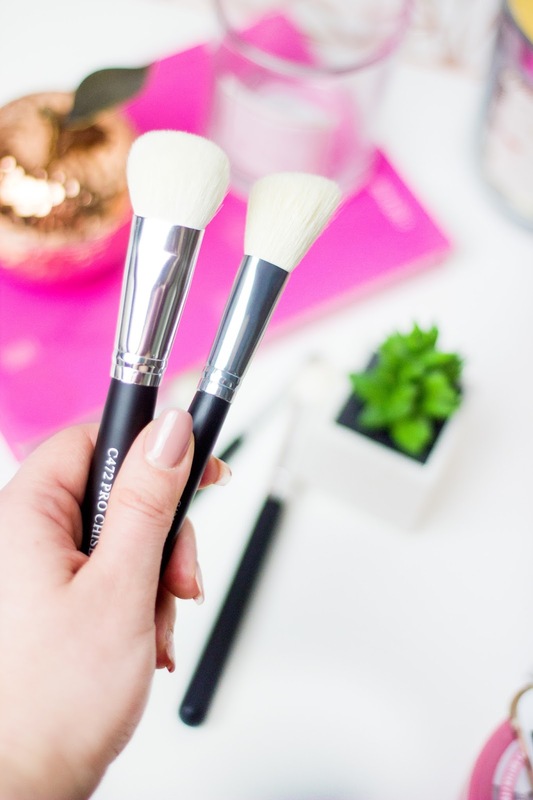 C472 Pro Chisel Blush Brush is great for cream and powder products. You can apply your foundation with it, but I personally use it for powder blush. It picks up the perfect amount of products and blends it easily. The natural hair bristles do not scratch your face and blend everything seamlessly onto your skin. C124 Firm Shadow Brush is another fave! This is such a great brush to pack on your shimmer shadows. The red sable hair allows you to pick enough product for perfect eyeshadow application over the lid. I like to spray my brush with water or any kind of spray and then dip into the shadow to achieve that metallic look. C405 Angle Contour Blush Brush my current go to contouring brush. I love that you can create sharp contour or more natural blended out look. The bristles are extremely soft and fluffy. You can also apply blush or highlighter using this brush. 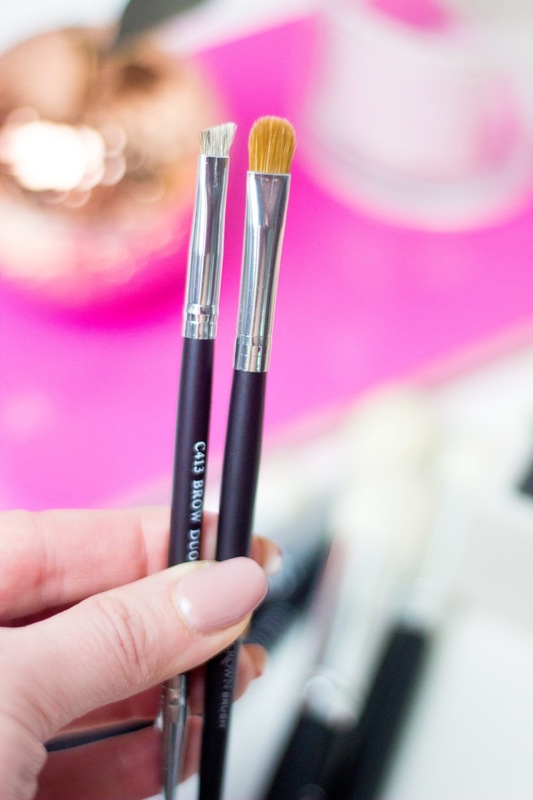 C413 Brow Duo Brush was the one that disappointed me the most. The angle brush side was way too thick to apply the product to your eyebrows, it was impossible to create sharp and neat looking brows and bristles was all over the place. The spoolie was ok and it does the job right. 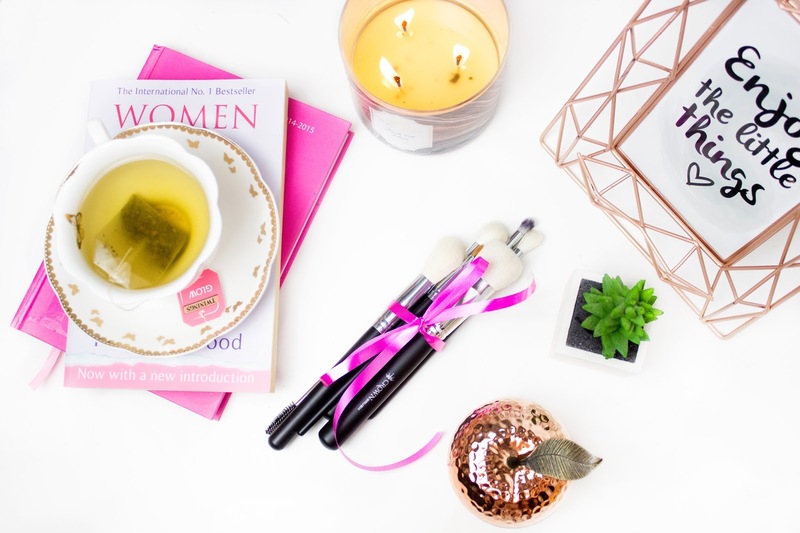 All brushes have quite short handles, which can be a bonus for those who travel a lot or very annoying for people who likes their make up brushes to have longer handles for better grip. I did experience a little bit of shedding on the first application, but it completely stopped after few uses. I already washed my brushes and all of them were perfectly fine after. I made sure I dried them flat, so the brushes wouldn't lose its shape. Overall, I'm really happy that I finally got to try Crown Brushes. The quality is outstanding, considering the price you pay. Also, did you know that Crown brushes used to make all of Morphe's products until a few years ago? I know shocking, right? Let me know if you have tried any of this brand's products and share your experience in the comments down below!